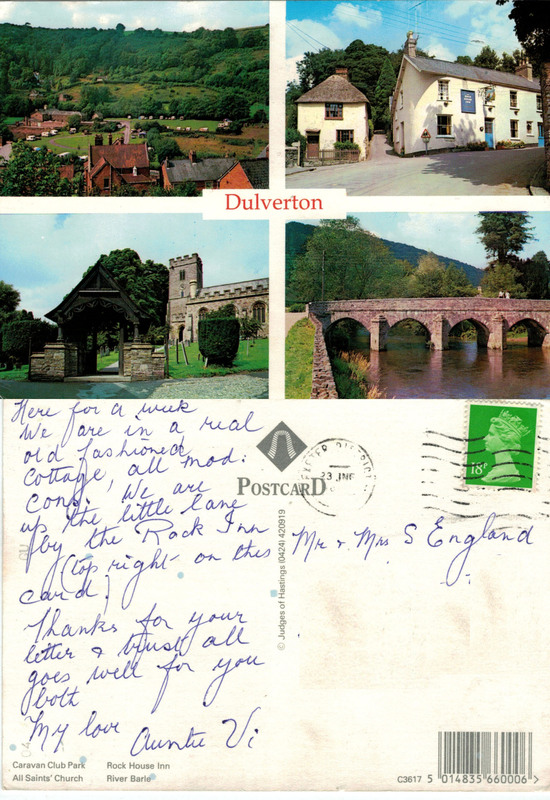 This entry was posted in History, Nostalgia, Social History, Travel and tagged Domesday Book, Dulverton, Great Aunt, Mod Cons, postcard, postcards, pub, pubs, Rock House Inn, Somerset, widow. Bookmark the permalink. cool card. your projet is so cool! you must have sooooo many postcards! how are you? seems like aeons! that’s so cool! I hope you have fun! would it be helpful if I sent you a postcard or do they have to be old? It would be lovely to receive a postcard from you 🙂 Please email me and we can take it from there!